The image is a pelican, a mother whose children will starve, so with her beak, she opens her breast and allows them to drink from her blood, that they may survive. In the selflessness of a mother, Christ’s heart is pierced on the cross and, pouring his blood out for us, he saves our lives. 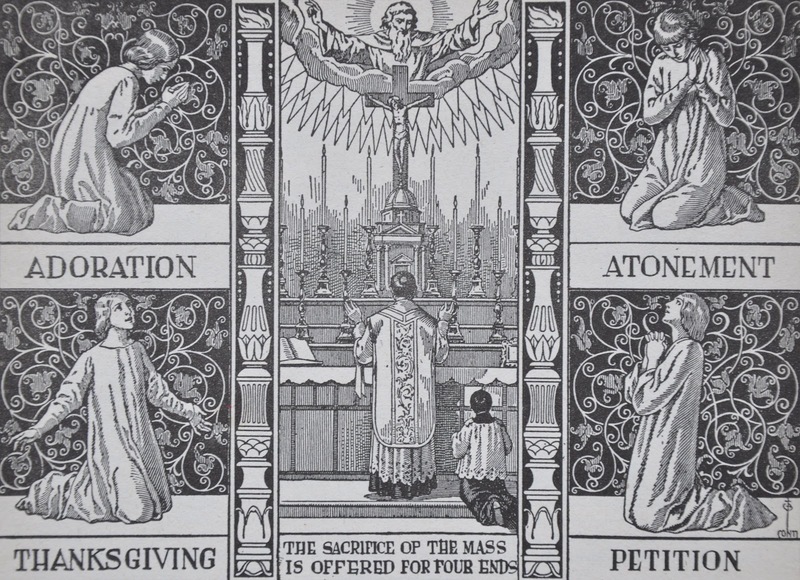 This sacrifice continues in the mass. “For my flesh is true food and my blood is true drink…Do this in memory of memory…” We must not ignore those words. Since July, I have felt at odds with the men on the altar. I heard nothing. From across the country, priests were speaking out. Women in Facebook groups shared how their priests preached on the crisis. Hours of reparation were scheduled. But not here. One parish here, but not where I attend. We are split between two parishes. One did not even include the statements from the bishop in their bulletin. No mention. No words. Happy-go-lucky music. Was it even happening? Is it business as usual while the faithful who are up on Church news feel broken, alone, lost, abandoned by their shepherds to the thieves who disguise themselves as shepherds? I heard a priest could choose to dress in black on such an occasion as this. Sackcloth and ashes. Fed up, I contacted a priest who I knew had preached on the crisis. And by preaching, I don’t mean a passing comment for a few words connecting what he is preaching on to the news and back to the topic at hand. No, I mean it was the focus. They have no excuse because the readings have been all about the failure of the shepherds who choose to shepherd themselves. Even now, Augustine’s sermons on pastors fill the Office of Readings. We left town for the day to the hills of Sonora, to mass at St. Patrick’s were a pipe organ fills the back wall, a few miles from Indgeny reserve, our destination for the afternoon. There were saw Fr. Sam. He looked deeply into the eyes of those he passed by. He bends down a little to do so. As his gaze grazes the congregation, he stops from time to time. He sees them. And he preaches to them, to us. In the reading, he said Christ exposes a great error we fall into, to think we can adapt God’s will to our will. He points out Peter being rebuked publicly by Christ, “get behind me Satan.” It wasn’t private, it wasn’t soft, it was public, it was telling. He pointed out that Peter went onto become Pope. The pope is infallible on the teachings of morals and doctrine, but he can still make mistakes, still make grave errors. We have seen it in history, we are seeing it now. It doesn’t mean the Church has failed. The exposure to the light is good. We need that. He said all that…and more. I felt seen. I felt heard. For over two months I’ve put my heart into the effort to feel it is not us (the laypeople) against them (the establishment of men either committing crimes or men afraid to rock the boat by speaking the truth, by preaching God’s word). I have felt desperate to hear this word, desperate to hear from the representatives of Christ, in person. Last week reeling, this week refuge.